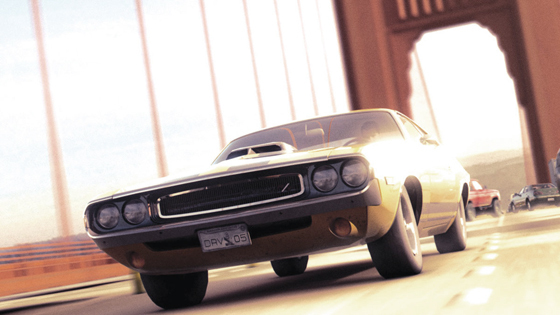 GAME NEWS: Ubisoft's 'DRIVER: SAN FRANCISCO' Goes Retro In Awesome Single Player Game Footage! Ubisoft returns to the world of Driver with a game that emphasizes an over-the-top retro look at the detective genre of the 60s and 70s. Driver: San Francisco expands upon what worked best in earlier versions of the Game, cinematic, open world car chases coupled with a groundbreaking new gameplay feature called shift. Gamers will play Detective John Tanner a relentless manhuntunter chasing down crime lord Charles Jericho through the beautiful hills of the City by the Bay. With over 120+ licensed vehicles, its timeless setting, unique car handling and renewed playability, Driver: San Francisco will revitalize the over-the-top car chase experience for the current generation of gaming platforms. Hit the jump to check out the footage. I'm reading: GAME NEWS: Ubisoft's 'DRIVER: SAN FRANCISCO' Goes Retro In Awesome Single Player Game Footage!Tweet this!